JASH – a YouTube comedy-collective and branded content company – is led by comedy producer Daniel Kellison (Jimmy Kimmel Live, The Late Show with David Letterman), along with fellow producers Doug DeLuca (co-executive producer of Jimmy Kimmel Live) and Mickey Meyer (Epic Rap Battles of History, Equals 3, Maker Studios). 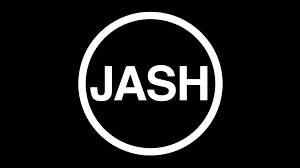 In addition to helping with their digital strategy, JASH gives comedians and artists a platform to create and control their own digital content – providing them with the financing, production resources, editing facilities and personnel to make short films, sketches, series, one-offs, talk-shows, animation, music videos and more. Additionally, the company’s creative agency and branded content arm has established itself as one of the entertainment industry’s leading branded video and IP creation shops. Los Angeles, CA – November 18, 2014 – JASH announced today JASH Presents Rubberhead – a variety show featuring performances from today’s top names in comedy – will be available worldwide on Vimeo On Demand exclusively beginning Tuesday, November 18. The maiden show is hosted by two-time Emmy Award-winning comedian Sarah Silvermanand features skits from comedians hand-picked by Silverman to create a one of a kind experience for comedy fans. The people you think are funny? This is who they think are funny. The lineup of participating comedians includes: 2Chainz, Nathan Barnatt, Derrick Beckles, Michael Cassady, David Dineen-Porter, Kyle Dunnigan, Shelby Fero, Nathan Fielder, Brett Gelman, Todd Glass, Key & Peele, Lauren Lapkus, Natasha Leggero, Tig Notaro, Tim Heidecker & Eric Wareheim, John C Reilly, Seth Rogen, Paul Rust, Sarah Silverman, Bobb’e J Thompson, Kulap Vilaysack, Harris Wittels and Charlyne Yi.